At Naturbliss Bangkok Residence, every effort is made to make guests feel comfortable. To do so, the hotel provides the best in services and amenities. The hotel offers access to a vast array of services, including Herbal Steam Sauna which is a unique way to relax and experience a new level of comfort. Herbal saunas have numerous medicinal benefits from healing bad skin conditions to rejuvenating and balancing effects on the body. Guests of the hotel can choose from 3 rooms, all of which exude an atmosphere of total peace and harmony. The hotel also offers wonderful recreational facilities such as meditation instruction. 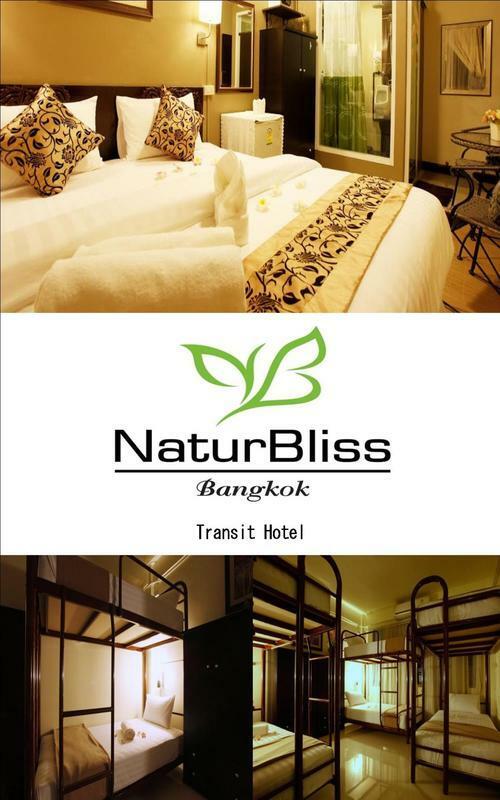 Whatever your reason for visiting Bangkok, Naturbliss Bangkok Residence is the perfect venue for an exhilarating and exciting break away. Private Arrival Transfer or Shared Airport Transfer : Need airport transfer from Suvarnabhumi International Airport or Don Mueang International airport to NaturBliss Bangkok Residence . Save time! by booking this private comfortable and efficient airport before you land in Thailand.